"To the memory of the Hon. 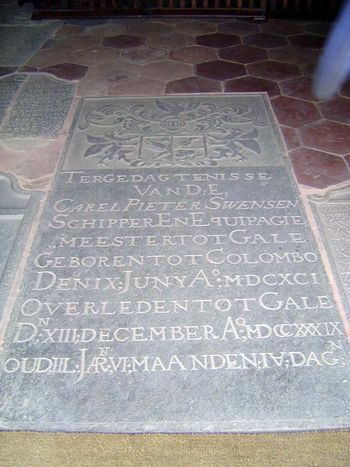 Carel Pieter Swensen, Sea Captain and Equipagie Meester (Market Attendant) of Galle. Born at Colombo, 9th June 1691. Died at Galle, 13th December, 1739. Aged 48 years, 6 months, and 4 days."